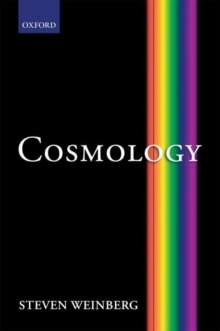 This book is unique in the detailed, self-contained, and comprehensive treatment that it gives to the ideas and formulas that are used and tested in modern cosmological research. It divides into two parts, each of which provides enough material for a one-semester graduate course. The first part deals chiefly with the isotropic and homogeneous average universe; the second part concentrates on the departures from the average universe. Throughout the book the authorpresents detailed analytic calculations of cosmological phenomena, rather than just report results obtained elsewhere by numerical computation. The book is up to date, and gives detailed accounts of topics such as recombination, microwave background polarization, leptogenesis, gravitational lensing,structure formation, and multifield inflation, that are usually treated superficially if at all in treatises on cosmology. Copious references to current research literature are supplied. Appendices include a brief introduction to general relativity, and a detailed derivation of the Boltzmann equation for photons and neutrinos used in calculations of cosmological evolution. Also provided is an assortment of problems.